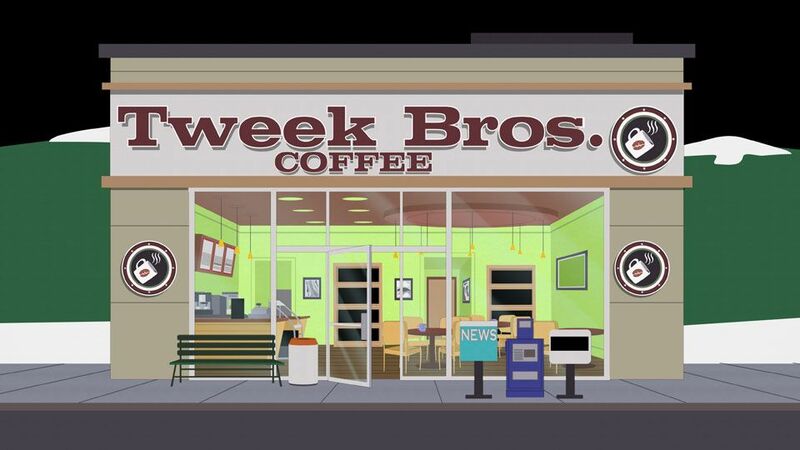 Tweek Bros. Coffeehouse is a coffee shop in South Park owned by Richard Tweak and first seen in season 2’s "Gnomes" In that episode, the store was in danger of going out of business when rival Harbucks coffee came to town. Eventually the conflict was resolved and Richard Tweek was offered a job as the manager of Harbucks. Tweek Bros. Coffee appears as a location in South Park: The Stick Of Truth. It serves as a shop where the player can purchase 'potions', including special blends of coffee.. It is shown that only the Tweak family works inside the building, which has a large interior.